Joe Stubblebine serves as Vice President of Talent Solutions at Beyond.com. 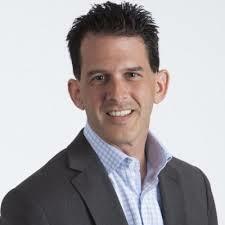 Joe is responsible for the development and execution of corporate outreach initiatives to increase awareness of the Beyond.com brand to HR professionals and industry influencers, while also leveraging his extensive industry expertise and relationships to support several key areas of the business. Joe works closely with the marketing team to provide creative influence on various projects, and to increase awareness of the Beyond.com brand through speaking engagements, conferences, thought leadership and other communication efforts. He also contributes to the business development team’s efforts to build partnerships that capitalize on Beyond.com’s high quality traffic offerings, and assists the employer sales team in establishing and strengthening relationships with strategic alliance partners. An advocate for businesses to embrace social media as a tool to increase sales and engage with employees and customers, he is a frequent speaker on the topic.